The first public look at Thief 4 will take place at the Game Developers Conference in March, when Eidos gives a presentation examining the use of "generative music" in the upcoming stealth title. Deus Ex: Human Revolution is one of the most anticipated games of the year but for some people, it's a different Eidos title currently in the works that's really generating excitement: Thief 4, the long-awaited addition to the famed stealth series that hasn't seen a new release since Thief: Deadly Shadows in 2004. Eidos made the official Thief 4 announcement all the way back in May of 2009 and hasn't had much to say about it since, but it looks like a GDC presentation by Paul Weir is finally going to give us a smell of what Eidos Montreal is cooking. "Innovative audio has been at the heart of the original Thief titles and Eidos Montreal's new Thief is no exception. This presentation will mark the first time that the game has been spoken about publicly," the description of Stealing Sound: Generative Music in Thief states. "Developers should more enthusiastically embrace alternative music models to resolve ongoing issues with linearity and to create a musical aesthetic that pushes away from the shadow of film." Weir's presentation will show off GRAMPS, Eidos' custom generative music system, and also discuss how using a single person as the composer, sound designer and audio director on a major game release "can help create a unified sound field, blurring the lines between sound design and music." Anyone who's played the previous Thief games knows that audio is a huge part of the experience, through both the industrial soundtrack that sets a unique tone for the pseudo-steampunk environments and the sound cues, like approaching footsteps and muffled conversation, that are vital to stealthy success. Because of that, an audio-focused talk which would otherwise be of limited appeal will almost certainly garner widespread interest among the Thief fanbase. That and the fact that it's "the first public insight into Thief 4." That probably helps too. The 2011 Game Developers Conference runs from February 28 to March 4. 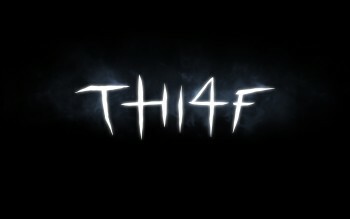 A release date for Thief 4 has not yet been set.